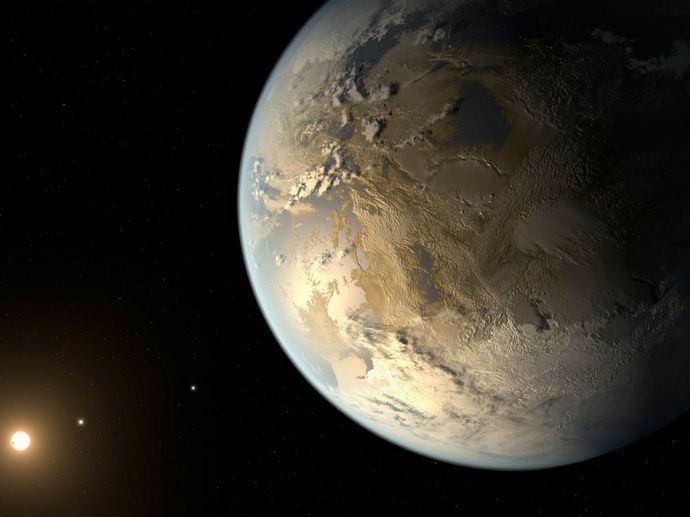 Scientists say that the new found 'super earth' is too hot for life to exist there. An international team of astronomers has found more than 60 new planets, including a rocky ‘super earth’ revolving close to our earth’s solar system. The astronomers also found an evidence of additional 54 planets which brings the potential discovery of new worlds to 114. According to the UK’s University of Hertfordshire, a particular planet named Gliese 411b has been generating a lot of attention. Astronomers describe the planet as ‘hot super-Earth with a rocky surface’, which is located in the fourth-nearest star system to the sun, making it the third-nearest planetary system to the Sun. Dr Mikko Tuomi from the University said that, despite the ‘super earth’ label given to the planet, it is too hot for life to exist on its surface. The planet Gliese 411b orbits the star Gliese 411 and they both are located 8 light years away from the Earth. A light year is a unit of astronomical distance equivalent to the distance that light travels in one year which is nearly 6 trillion miles. Dr Tuomi, who was involved in this discovery said that the latest batch of planets marks a significant discovery. “Over the recent years, it has been established as a scientific fact that there are more planets in the Universe than there are stars. This means that virtually every star has a planet, or several of them, orbiting it,” he said in an interview given to the New Your Post. “Our discovery of dozens of new nearby planets highlights this fact. But it also does more. We are now moving on from simply discovering these world", he added. According to Tuomi, these 60 new planets are found orbiting stars that are mostly 20 to 300 light years away.